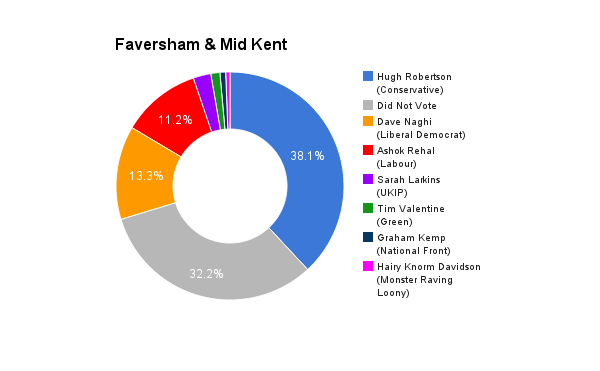 Faversham & Mid Kent is located in Kent in the south east of England. The seat was created in 1997 and has been held by the Conservative Party ever since. The current member of parliament is the Conservative Party’s Hugh Robertson who has served since 2001. 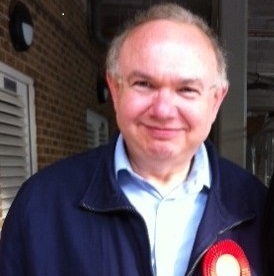 Ensuring excellence in public services, keeping the NHS as a free-to-use, properly-funded, world-class service, regulating rail fares to ensure operators are not making unreasonable profits at the expense of commuters, creating an aspirational, highly educated workforce, helping small businesses, taking firm action against unscrupulous bailiffs and those that use them, capping student fees to a maximum of £6,000 pa and encouraging young people to participate in campaigns and political activity. We should be proud of our democratic rights, freedoms and heritage – and make sure we take full advantage of them. As I now do as a councillor, I will hold regular constituency surgeries, live in the area and be available to deal with urgent issues – including some of the serious planning concerns relating to Junction 8 of the M20 – immediately. I will also visit schools, community and faith groups on a regular basis. I have almost 25 years experience in local government, helping to transform an inner-city borough into one of that is enjoys amongst the highest level of economic growth in Europe. Kent is frequently ignored, rarely receives regional aid or support and needs inward investment. I would also help funding of local schools which are, in some instances, having to make redundancies at the moment, which is preposterous. The Government perpetuated austerity by cutting the school building program, has failed to cut the deficit or invest in adequate infrastructure programs. It has also failed to properly fund the NHS, its’ cynical bedroom tax and social policies have led to food banks. We need to count people in and out, check on criminal records and allow fair movement within the EU, not necessarily free movement. But we must not leave the EU, any changes must be made from within. Labour is insisting energy bills are contained, the Coalition has been soft with suppliers. We also intend to tackle the train companies, most of whom are charging excessive fares. We need to fight privatisation and TTIP, ultimately we need the Service to be better funded and more responsive to users. Labour will guarantee any young person who has been unemployed for at least a year, temporary employment to help them find their feet. The Houses of Parliament should be diverse and reflect the diversity of society, we also need far more women, younger people – and some older people, experienced in life! Not just “professional” politicians who all sound the same. I am proud of the EU, demonstrated in Kiev for Ukraine to shed itself of its’ corrupt Government and become closer to joining. It needs changing and efficiency; but as the world shrinks, we cannot shrink into Little Englanders, placing a wall around the English Channel. We are part of Europe and we need to stay part of Europe!